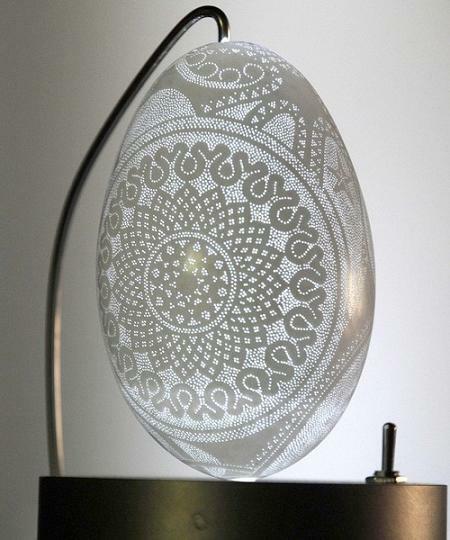 Franc Grom is a Slovenian egg artist who is known for his extremely detailed and amazing art work on eggs. 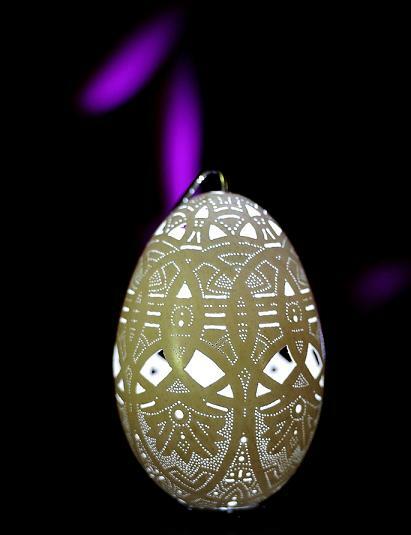 Egg art demands lot of time and patience. Franc Grom egg art technique clearly shows the level of dedication and hard work required for this art. 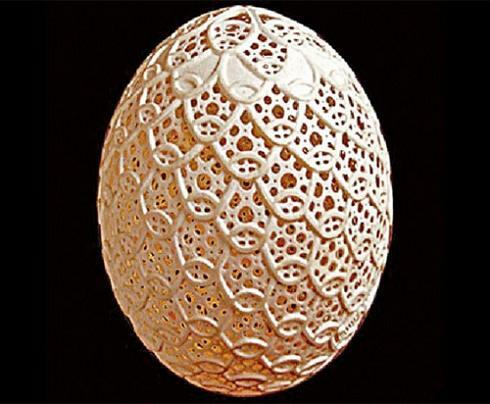 Can you imagine an egg with more than 24,000 holes? 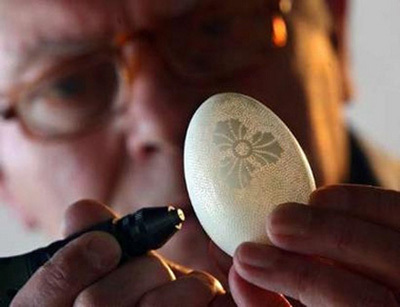 Franc makes tiny holes in large numbers on eggs to turn it to a beautiful piece of craft. He was born in Slovenia and most of his designs were inspired from Slovenian art. He stepped into the world of art after his retirement and was successful in gaining attention as a respected egg artist. Even after crossing the 70 age group, he is very active in this craft. 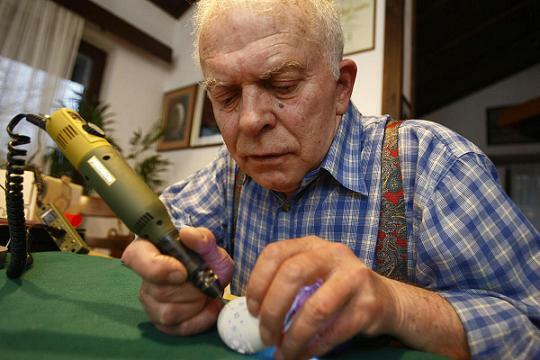 He has crafted more than 300 Easter eggs. It usually sell for approx. $500 per piece ! His technique is something always interesting. 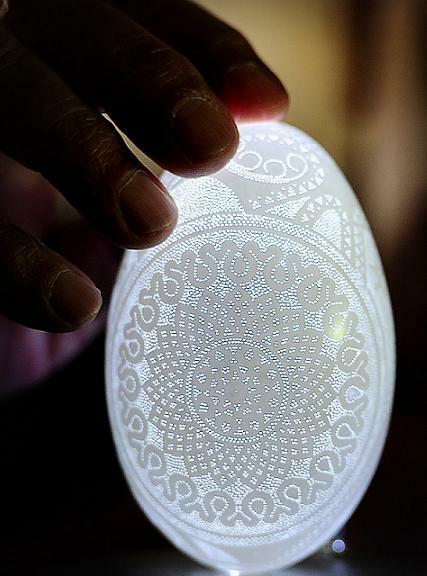 Patiently drilling thousands of holes on an egg shell is truly a craft that demands talent. 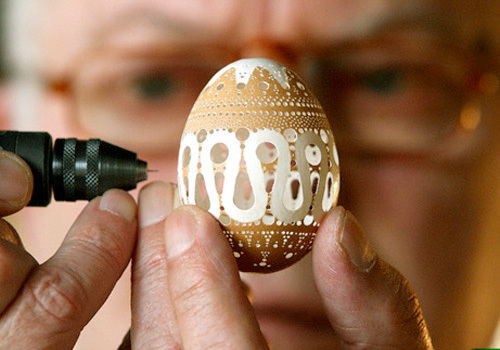 He uses a simple electric drilling tool to makes holes on the eggs. 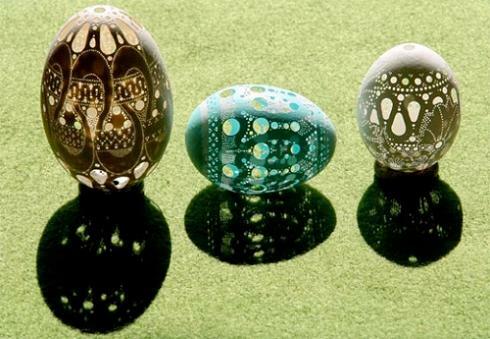 These tiny holes makes each egg a “masterpiece”.